I have a love-hate relationship with my hair. Some days it appears full and bouncy, while other days it’s lifeless. Using good products, having frequent haircuts, and taking breaks from hot tools are all things I do to take care of my mane, but even in doing all of that, some days I still need a little extra somethin somethin. In today’s post, I’m actually wearing hair extensions. They’re the Hair2Wear Christie Brinkley Collection – 16 Inch Clip-In Hair Extension In Medium Brown. Because my hair is pretty long, these didn’t add any length, however, it helped give the appearance of fuller, thicker hair. The color blends in perfectly with my natural hair color, so you can’t even tell I’m wearing them which is the best part! This outfit is practically my uniform. A soft button down shirt with distressed jeans is the perfect combo and my go to look when running errands or meeting a friend for lunch. And can we discuss my new Vera Bradley bag?!! 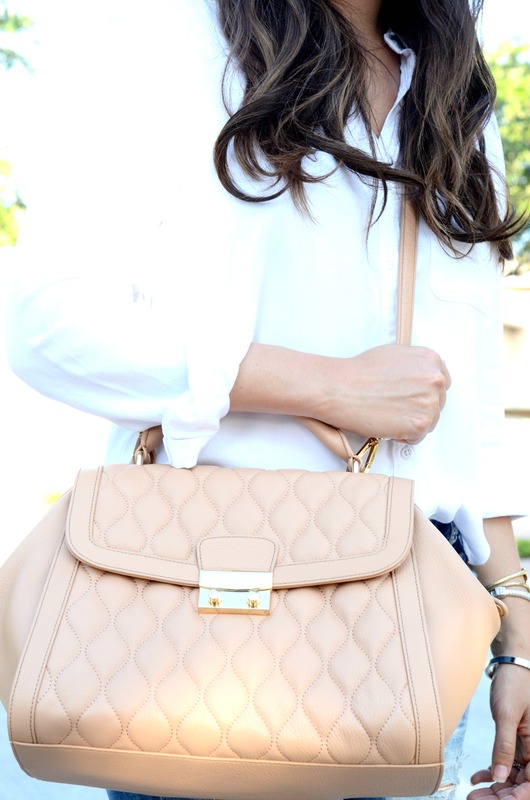 I’m so obsessed with this color, the shape, and the quilted detail. It’s big too, so I can even fit some diapers and wipes when I’m out and about with Harley and give my shoulders a bit of a break from the huge, heavy bag I’m usually wearing. 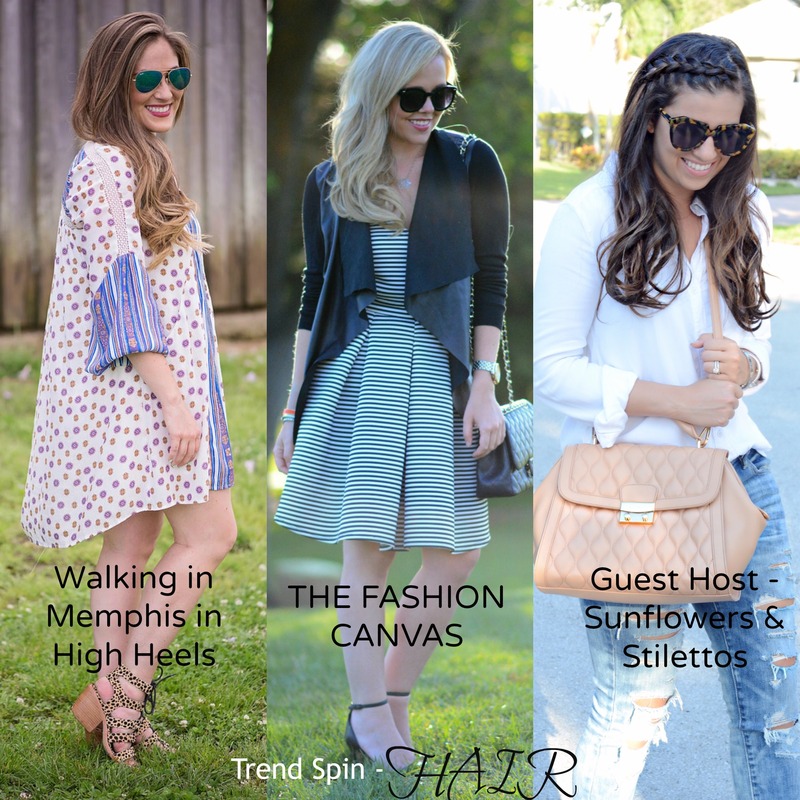 Would love for you to join me, Laura and Erin, and link up your favorite hairstyle look below. Also, be sure to scroll down to enter for a chance to win your own Hair2wear products and a $150 Nordstrom gift card! That fishtail clip in looks so cool! I had no idea she had a hair line! – Also, loving your jeans! Hey Morgan! The fishtail is my hair!! The clip in extensions are underneath to add thickness to my hair! Your outfit is so casual, classic, and chic. It’s perfection. I’m loving the hair extensions and your hairstyle. I’m thinking I need these to make my hair thicker and fuller. Such a perfect mom uniform. 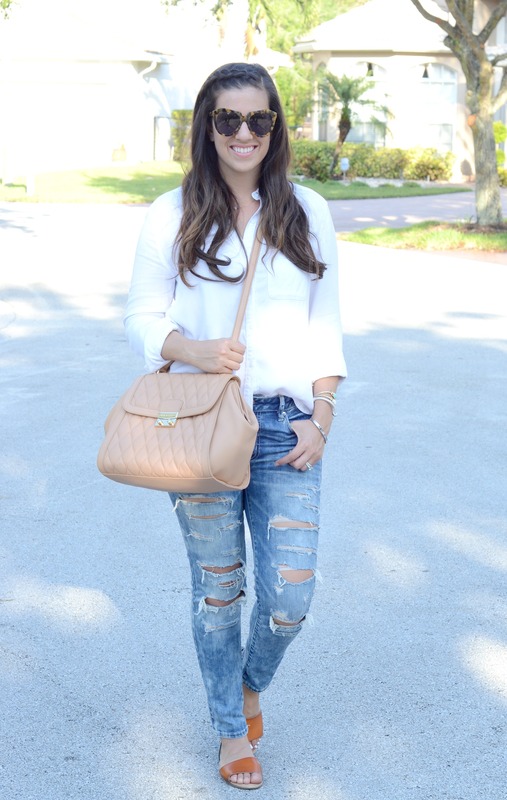 You can’t go wrong with distressed jeans, a button down, and super cute sandals! You make it look so sophisticated and stylish, too. I love it! Love everything about this Jaime!! Looking fabulous as always. My extremely thin hair could totally use the help of some clip in extensions that are easy enough for an amateur like me to use. Hope I get a chance to win some!! Great outfit, but I’m obsessed with your side braid with the hair extensions!! My favorite product is Hair2wear Christie Brinkley Fishtail Headband. Having some serious hair envy! I LOVE that hair style on you! These extensions look so natural!! Are they human hair or synthetic? That is a classy and edgy look you put together! 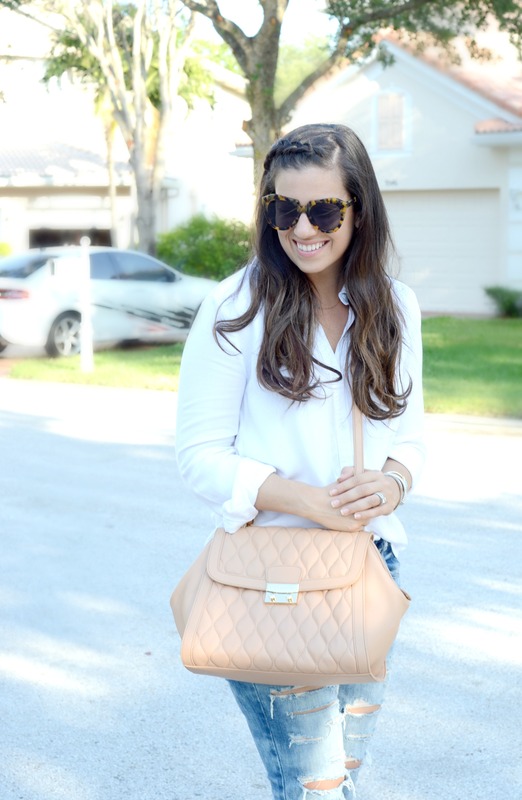 Love the look and your hairdo is too darn cute! Those sunnies stole my heart, a perfect pair. You hair looks amazing! I need to get me some extensions!